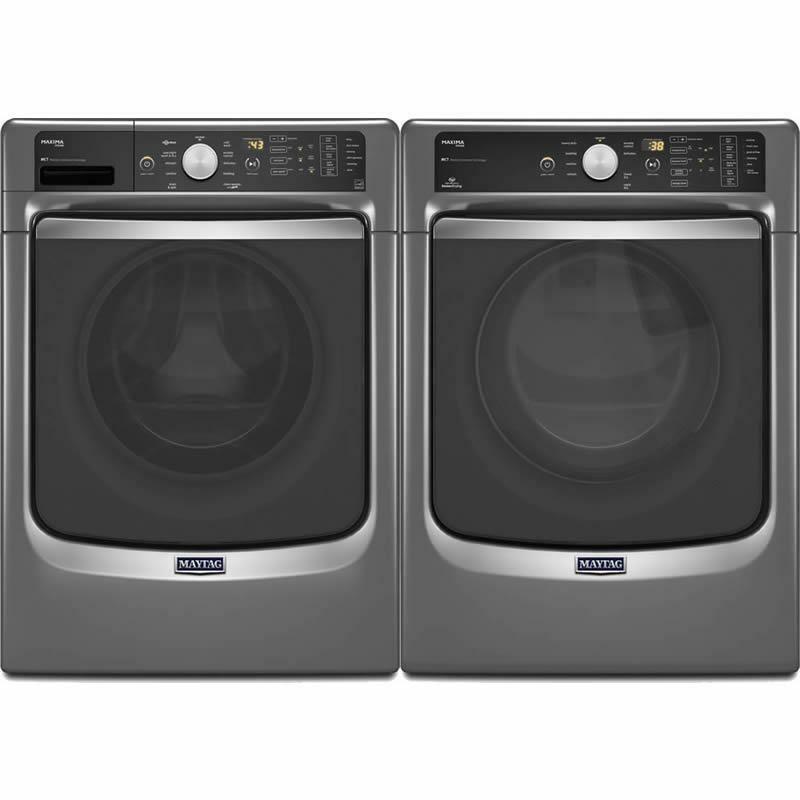 Maytag Maxima® front-load washer and dryer, laundry pair. Make everyday laundry loads a breeze with the extra-large capacity of this steam washing machine that provides the best cleaning in the industry enabled by the PowerWash® cycle. 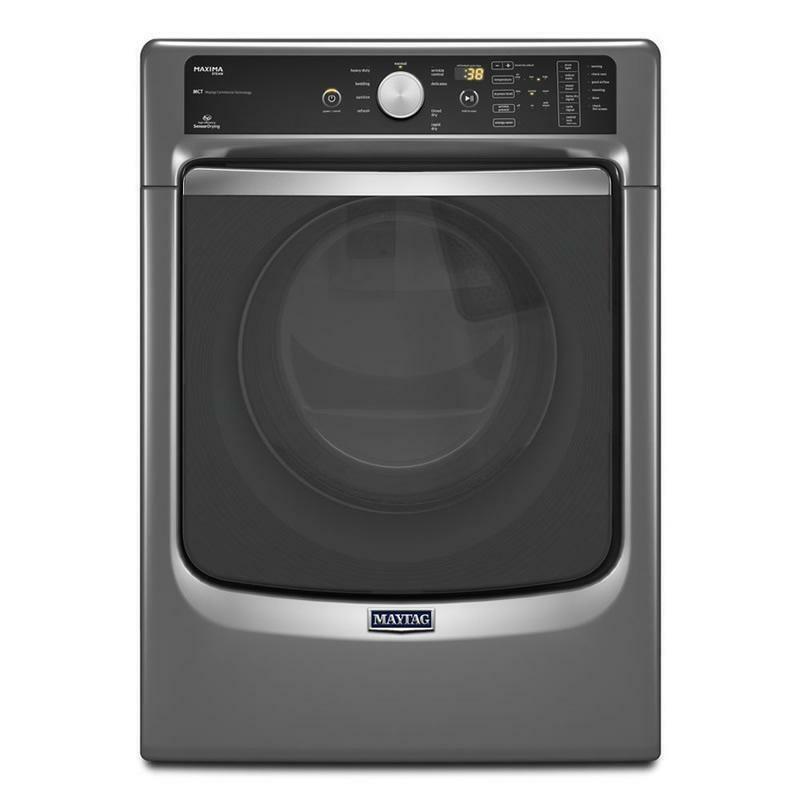 You can even grab some shut eye as small loads practically do themselves with the overnight wash & dry cycle of this front-load washer. And with this sanitizing washing machine, enhanced cycles use the power of steam so that your washer can really stick it to stains. 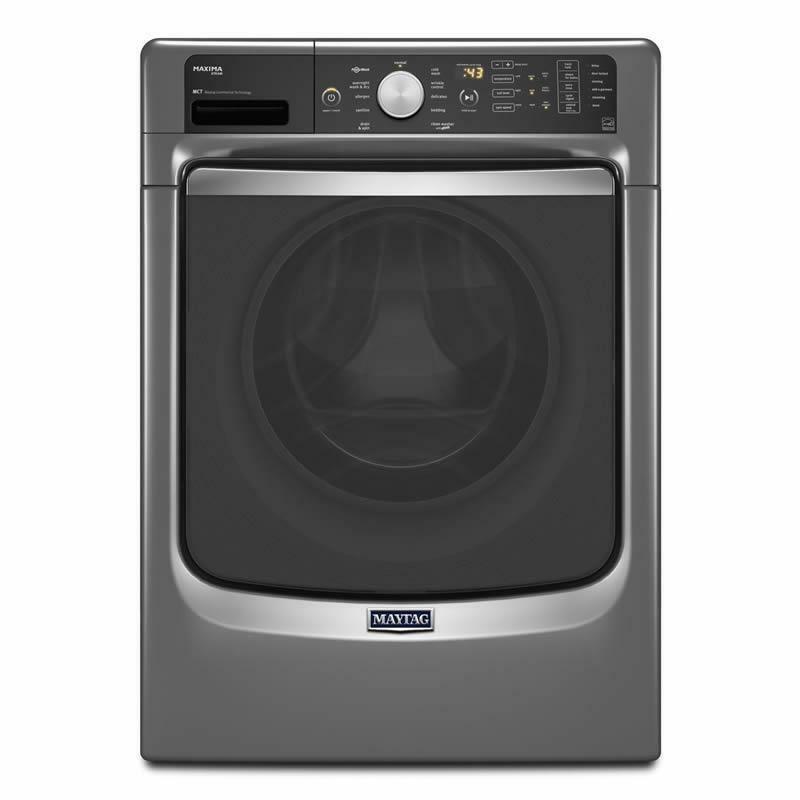 Enjoy premium drying performance with a stainless steel dryer drum that's not only built to last, but looks great for the long haul in this steam dryer. And, with 7.4 cu. ft. capacity and help from advanced moisture sensing, this gas dryer has the space to keep your largest loads evenly dried. For better tumbling and even drying for small loads, an extra interior fin helps stop clothes from riding the drum. Plus, count on this steam dryer to take care of stubborn wrinkles and odors with steam-enhanced cycles and options.